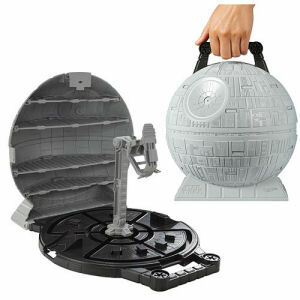 We have Just Sold out of Star Wars Hot Wheels Death Star Play Case. This Item is unavailable at present. From the Star Wars Hot Wheels collection by Mattel. Star Wars Hot Wheels Death Star Play Case. Holds 10 star wars vehicles. Measures 12 inches tall.